Books, Mud and Compost. And Horses. It's not credited, but I think it's by Peter Archer. The style is certainly very similar to other Armada illustrations he did which are credited. . Below is the first edition, which Collins published in 1953, with a cover illustration by Mary Gernat, who was, ironically, Armada's other major cover illustrator. I wonder what she felt when she saw the paperback edition. But moving on, I thought I'd start off by giving you my own choice of books. I did toss up whether the lure of the book loved in childhood would be enough to overcome the fact that, reading with a grownup eye, the book didn't work its old magic, and so the books I've gone for are ones I still pick up. 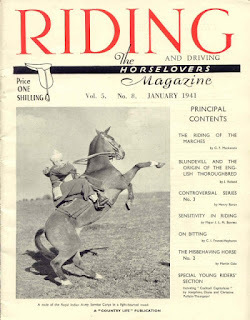 On my Facebook page a few weeks back, I posted a cover of Riding Magazine from 1941, really because it was the Pullein-Thompsons’ first appearance in print (Cocktail Capitulates – a piece written by all three on the schooling of a difficult pony). The whole point of a front cover is to encourage people to dive into the delights contained within, and as the magical pull of this edition had not faded over the 70 plus years since it was published, people wanted to know what was the controversy mentioned on the front cover? The controversial horse was a series of articles appearing each month on a topical controversy. I’ve found three so far, and when I’ve found the rest of my 1941 copies, I shall be able to tell you if they continued beyond that. The series kicked off a couple of months before the issue above, with an article on how best to control the horse. 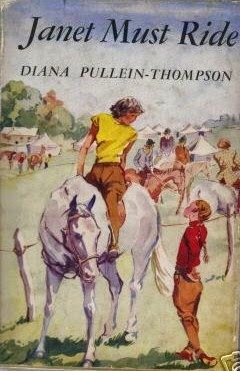 I’m attempting to break what has been a bit of a blogging drought by writing a series about riding schools. If you took Pony Magazine in the 1970s and before, you might remember an occasional feature it did called Round the Riding Schools. 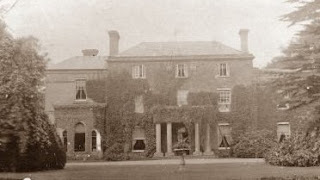 The sort of riding school that got itself featured here taught you to ride the right way, with instructors who were the backbone of the British equestrian establishment. Some of the schools featured in the article were very large indeed; others were minute. What many of them have in common, despite their size, is that they no longer exist.